Seaside is an 80 acre unincorporated community on the Gulf of Mexico, straddling either side of 30-A. Conceived by Robert S. Davis and town plan architects Andres Duany and Elizabeth Plater-Zyberk, Seaside is an unincorporated community modeled after pre-1940 towns of the region. It has become a model for the principles of urban design now known as New Urbanism, and is recognized both for architecture within its boundaries. 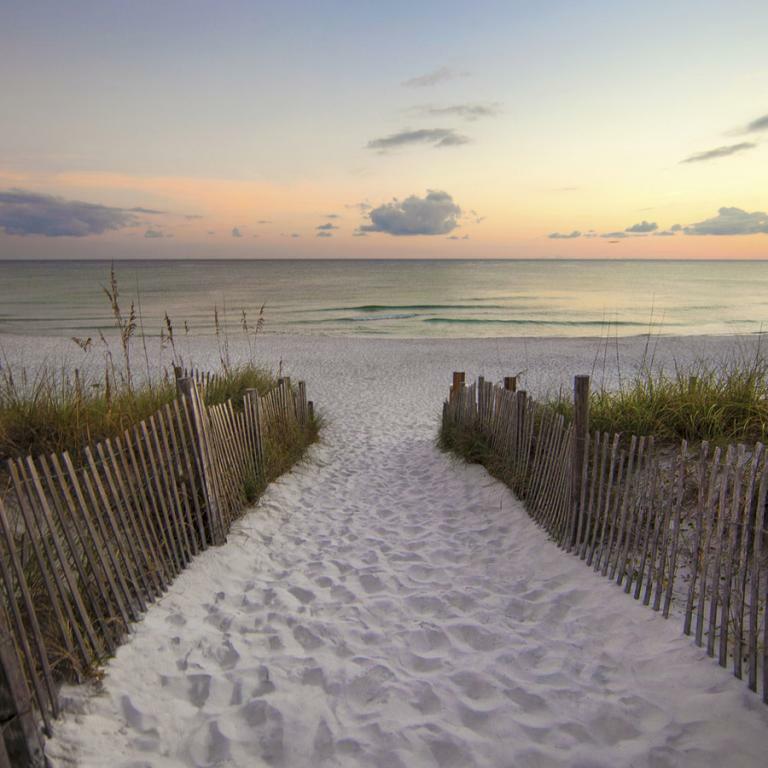 Property owners here enjoy all that Seaside has become…famous for the Town Central area, Amphitheatre and Bud and Alley’s, one of the few truly Gulf front restaurants along the beaches of 30A. Here, most people get around by bike or by foot. Funky airstream trailers serve hot dogs, crepes, shaved ice and more; just down the road you’ll find cozy cafés and boutique Modica Market which has been here since the beginning.